While living in Zurich Joyce began to suffer from severe ocular illness and eventually underwent at least ten operations on his eyes. 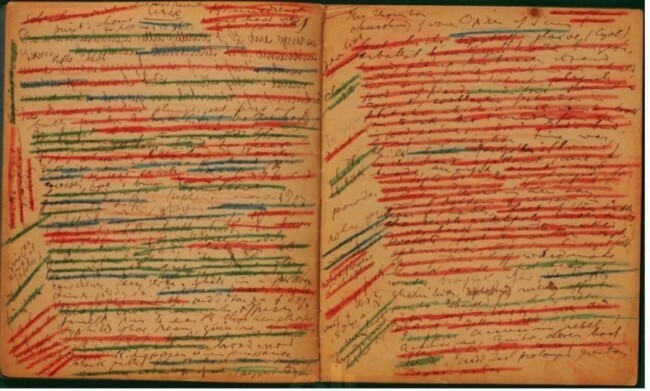 For years he was almost totally blind and much of his later writing was done with red crayon on huge white sheets of paper. 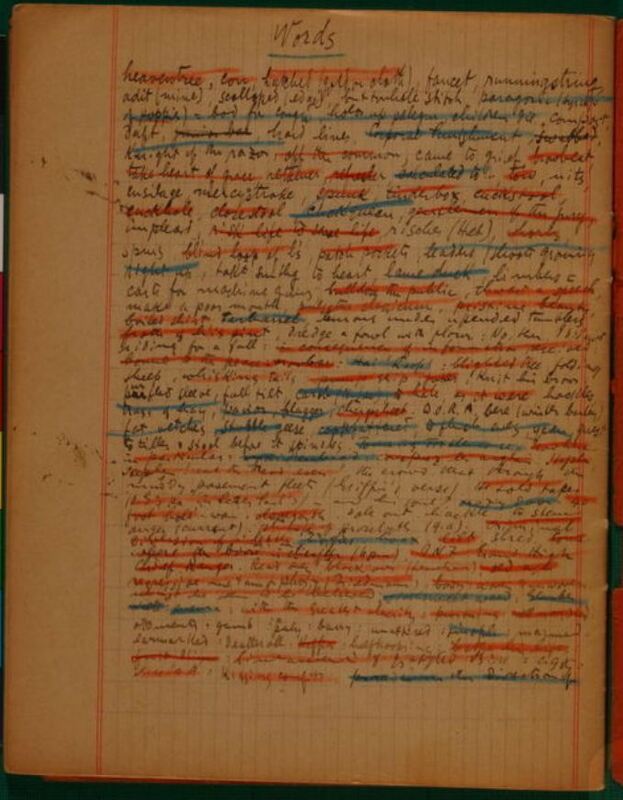 “Joyce used a different colored crayon each time he went through a notebook incorporating notes into his draft,” adds Derek Attridge in a review of The Finnegans Wake Notebooks at Buffalo. 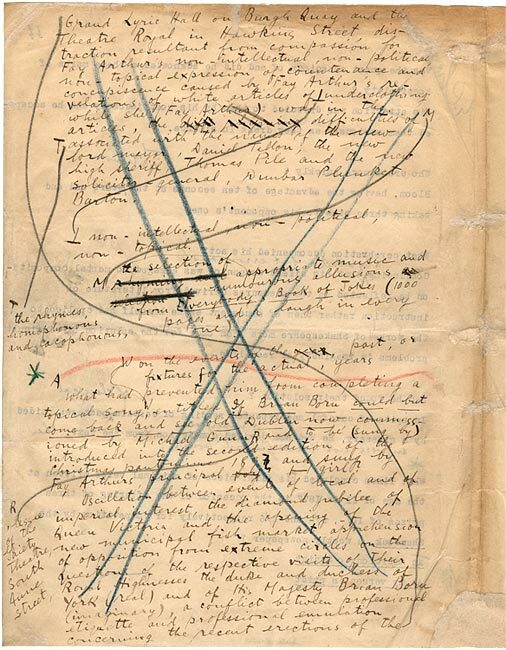 The crayons were “a scrupulousness which has never been satisfactorily explained”.